The ELD mandate effective date is rapidly approaching, so I’d like to answer some of the most frequently asked questions we’ve heard in relation to the mandate. An ELD that can print out an instant log answers the need for quick and easy inspections and also helps maintain privacy. How can I figure out if the ELD mandate applies to my bus fleet? If your drivers are currently using paper logs to maintain hours-of-service records, they will need to have an ELD. The only exemptions allowed are for drivers of vehicles manufactured before 2000 and drivers who do not use the short haul exemption more than eight days out of every 30-day period. What initial steps must I take to be ready for the ELD mandate? 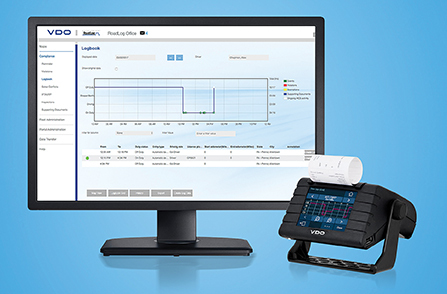 Evaluate the available ELDs and software to find the best fit for your needs. Do you need manual data transfers or online connectivity? Do you want IFTA miles-by-state reporting? Do you want automatic log auditing? How do you want to manage and store the ELD data? Depending on the size of my fleet, and assuming I currently don’t have any ELD devices, how much am I going to be spending between now and the ELD effective date? What about moving forward? The costs for adding ELDs can vary significantly. Your best approach is to compare the total cost of ownership over five years and include all the expenses. For example, if you’re looking at a system based on a cell phone or tablet, you will also need to include the costs per vehicle for a dongle, renewal fees, monthly service costs, and data plans over the five-year period. Smartphones and tablets will need to be upgraded regularly and data plans come with heavy overage penalties. Some ELD systems can require over 1GB data per month per vehicle. The bottom line is to not take anything for granted. What may appear to be a cheap deal with no up front costs may cost you in the long run. 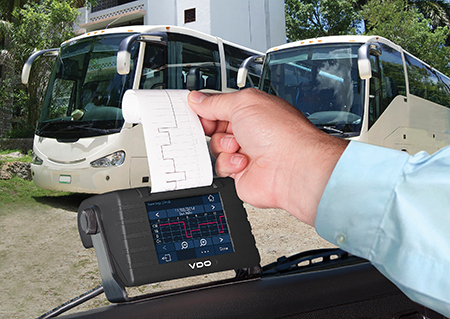 As a comparison, our VDO RoadLog ELD is available for $800 without a monthly fee and everything is included. However, a system with a $20 monthly service fee plus $300 for hardware (dongle, smartphone renewal, etc) comes to a total cost of ownership of $1500 over five years. In addition to increasing overall safety, ELDs will reduce paperwork headaches and stress, and make it easier communicate with the home office. What features of a state-of-the-art ELD are important, and why are they important to my business and bottom line? The most important feature is an easy driver log functionality that will be compliant in the future. The ELD should allow for quick and easy roadside inspection. As enforcement ramps up, checking the logs on electronic displays and smartphones will be difficult and time consuming. Drivers will want a system that doesn’t have to be turned over to the inspector, and an ELD that can print out an instant log answers and also maintains your privacy. Device reliability is important and the best way to do that is to keep it simple. Check how many different components a particular ELD system requires. If you have a system with a dongle and smartphone that are delivered from separate suppliers, you are more likely to have issues than with one piece of hardware from one manufacturer. System connectivity is paramount. While it’s OK to drop a call, a loss of connectivity between an ELD dongle and smartphone means you have to edit all your logs and possibly explain instances of “unassigned driver” to enforcement. Your most reliable connectivity will likely come from a system that’s hardwired to the vehicle. You should also look at other features such as IFTA miles-by-state reporting, pre- and post-trip reporting capabilities, plus options for track and trace, driver behavior monitoring, and trip management. How can I prepare my company culture for ELD implementation and monitoring? It’s key to show your team why ELD implementation is an important priority. Do not use ELDs as a punishment for bad drivers, but rather convince your leading drivers to try it. And while ELDs will satisfy the federal mandate and help increase overall safety, they will also deliver a host of long-term benefits such as less paperwork headaches, more profitable drive time, time savings, reduced errors, less stress, and easier communication with the home office. James McCarthy is the VDO Roadlog ELD marketing manager for Continental Commercial Vehicles & Aftermarket. Visit them online at www.vdoroadlog.com and email them at roadlog-sales@vdo.com.